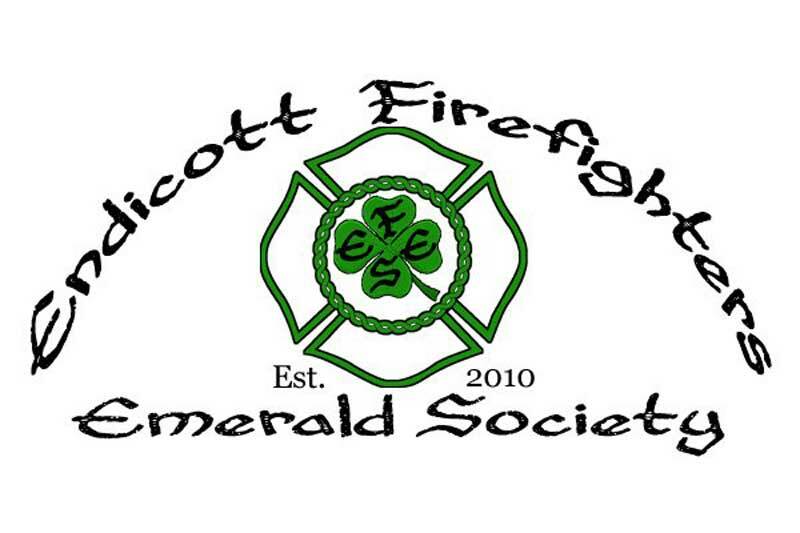 The Endicott Firefighters Emerald Society (EFES) is dedicated to foster goodwill among all firefighters and their families. We are committed to the brotherhood and sisterhood of the firefighting profession by supporting our fallen firefighters, serving and support the community in which we live and work, and supporting the Muscular Dystrophy Association (MDA). Phone: (585) 209-3337 (EFES) Please leave a message. Like us on Facebook for party updates, and ticket availability Please share this event with all your friends and Family. The Endicott Firefighters Emerald Society or (referred to as EFES) at its sole discretion, may choose to change or terminate any term or condition without notice at any time, for any reason. You agree to indemnify, defend, and hold harmless EFES, its officers, members, licensors and suppliers (collectively the "Service Providers") from and against all injuries, losses, expenses, damages, and costs, including any and all attorneys' fees, resulting from any violation of the terms, conditions and operation at any event at any time. By participating in events managed by “EFES” the participant waives any rights or claims it may have against EFES. Admission to an event will be subject to a Ticket Price, which will vary according to the nature of the event and location. Tickets will be sold on a ‘first-come-first-served’ policy with preference given to EFES Members. Tickets must be paid for in advance prior to receiving the actual ticket. By purchasing a ticket you agree not to initiate any claim against EFES resulting from your attendance at an EFES event. Security and a uniformed Police Officer will be present. Security will monitor the behavior of delegates at the event. Delegates at any event who do not conform to a ‘reasonably acceptable’ standard, which is at the discretion of the Security, Police and EFES Members will be verbally warned and then ejected for persistent flagrance. EFES reserves the right to refuse admission, expel, of any guest who becomes abusive and/or offensive to other guests at an event, or is identified as having committed an offense of a violent nature, or has become incapacitated. Entry and participation at any EFES event will be at the sole discretion of the EFES as the safety and security of all guests and staff is of paramount importance. EFES cannot be held responsible for the actions of any person that you may meet and or come in contact with as a result of attending an EFES event. EFES takes no responsibility for any emotional distress or physical injury that may arise from communications with other guests at our events, without limitation, either during, or at any stage after one of our events. In the event that you are injured, or suffer damages of any kind at one of our events, you agree to release EFES from any liability with respect thereof. The merchandise pertaining to the PARADE PARTY are provided “as is” without any express or implied warranty of any kind.